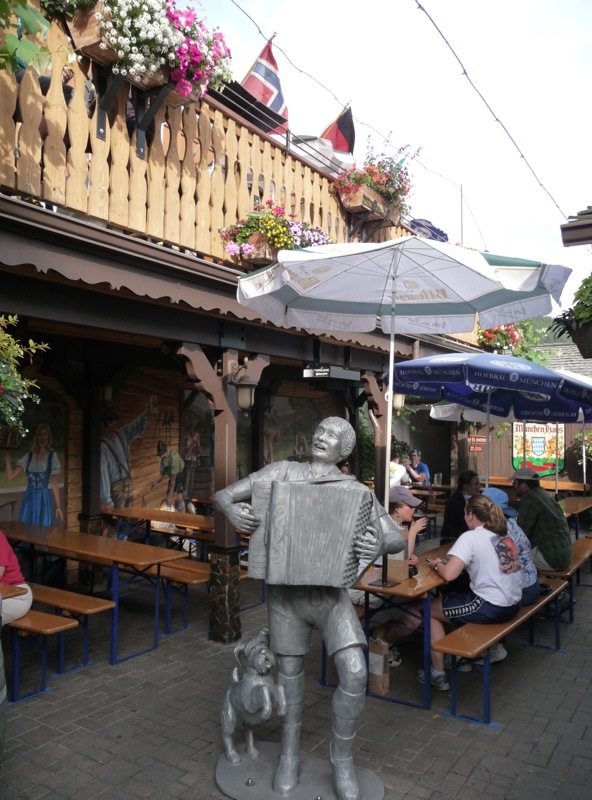 The Munchen Haus is a surprisingly authentic German-style beer garden right in the heart of the artificially Bavarian town of Leavenworth. The entire location is outdoors (except for the restrooms). Passing through the gate, walking around the food ordering station, then past the food pick-up/condiments station, you enter a nice paved patio. The patio is filled with light-brown-mustard painted narrow wooden-topped tables and benches on blue-metal supports (like picnic tables but with moveable benches). 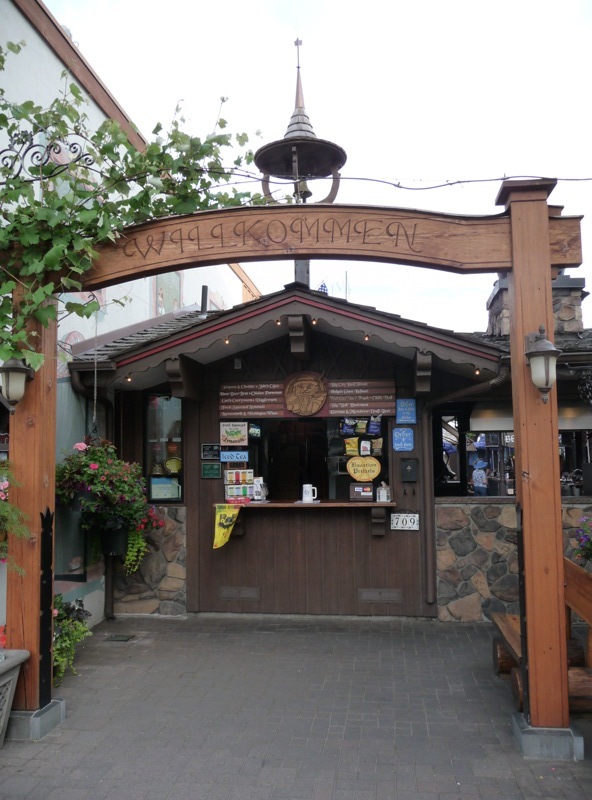 A Bavarian-style carved wooden hut houses the bar and beer taps and this is where you order and pay for your beer. Numerous German-beer logoed umbrellas shade the tables. One side has a wooden structure providing some protection from weather and with outdoor heaters. 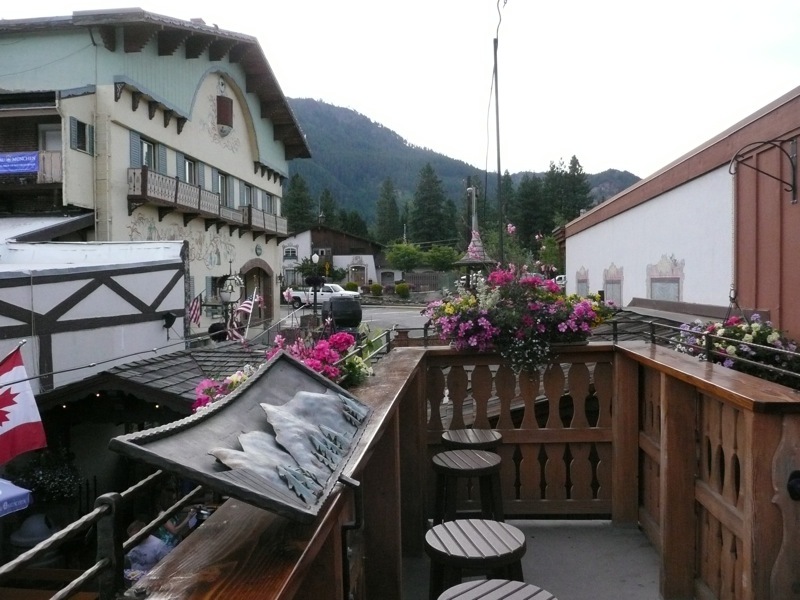 Stairs lead up to balcony seating above with more tables and benches as well as great views of the surrounding mountains. Modern Bavarian-styled murals cover the walls. Hanging baskets of flowers and several grape vines add to the decoration. A life-sized metal sculpture of a man with an accordion and a playful dog sits in the center of the space. 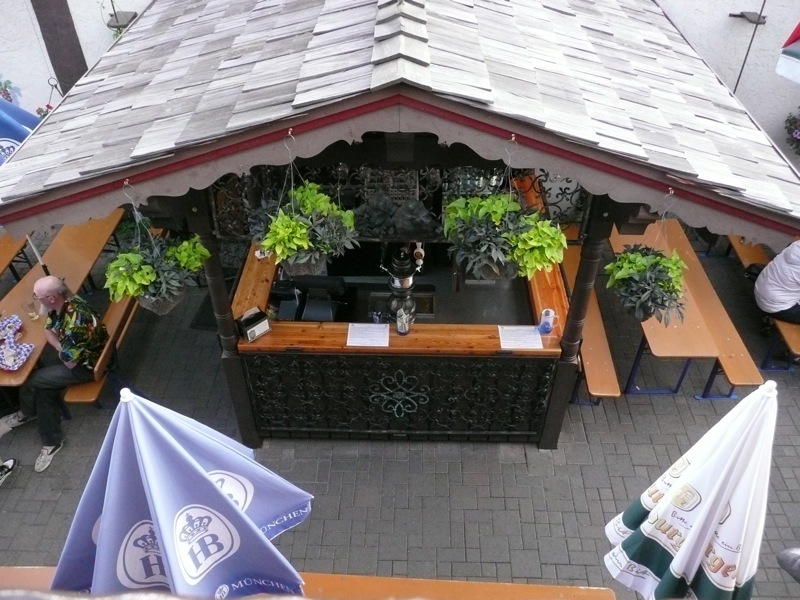 Great authentic German beer garden atmosphere - shared tables, no table service, bus your own table - make this a fun and low-key place to hang out with a beer. 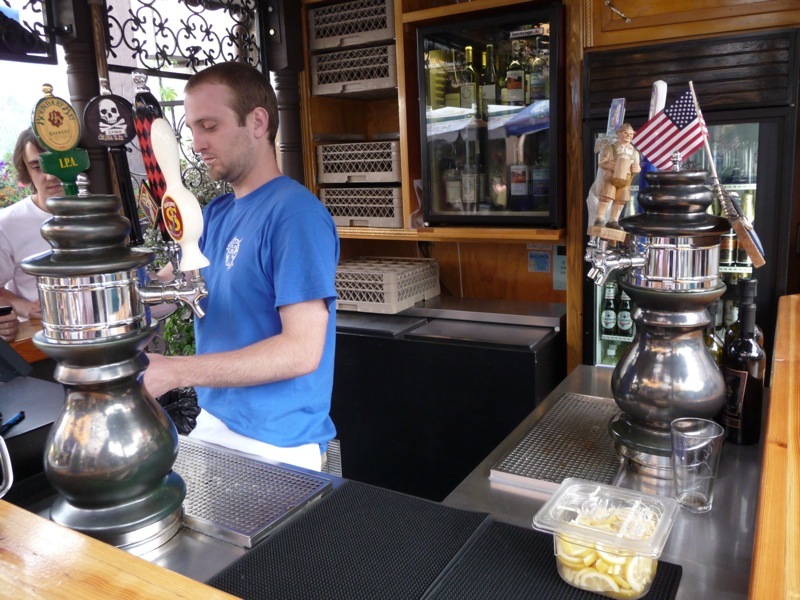 There is a decent selection of beer - eight taps of Northwest craft beer and imported German beers. Food consists of quite varied artisanal sausages with sauerkraut and a wide range of mustards. In short, it is a limited menu, but the quality and variety is good.